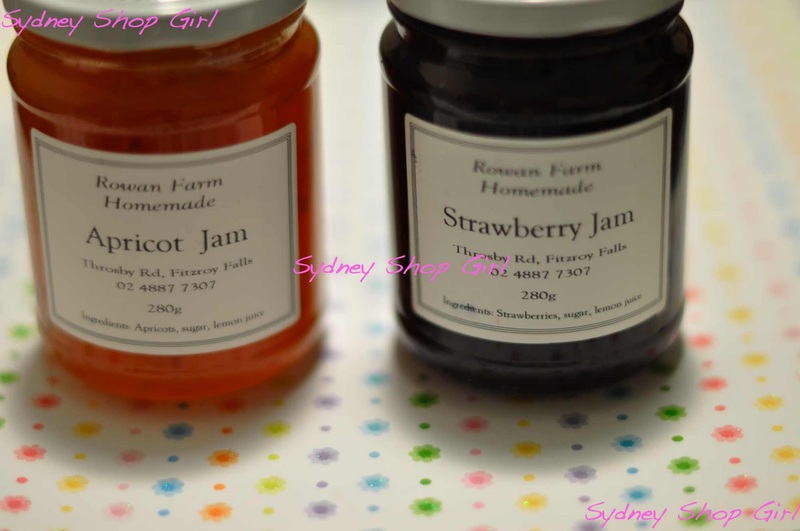 Sydney Shop Girl: Paddock to Plate Revisited. The jams were $6 each. I've been having the strawberry jam with my toast all of this week, it's that good. It's smooth without whole fruit pieces, fairly firm and not too sweet. Considering the quality, I think it's pretty well priced. This will be my jam for the Royal Wedding scones that I'll be having when I sit down in front of the telly to watch William and Kate and the Galliano dress live. I'm still finding a Royal Wedding Watching tea cup and saucer suitably glamorous enough for the occasion. And deciding which pyjamas to wear for the evening too. Decisions, decisions. Oh. My. Goodness. I'm going to have to eat my words about store bought banana bread. 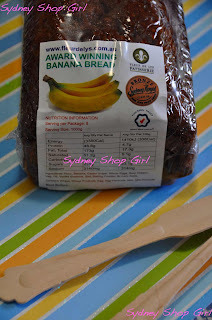 At the market, Fleur De Lys have an entire stall devoted to one product - banana bread. There were generous samples to taste and trestle stables stacked high with either 1kg or 2kg loaves. The 1kg size cost $12 (which is the same price of a kilo of raw bananas at the moment) and worth every cent. It's incredibly moist, not too sweet and tastes of real bananas. Mr SSG reckons this brand is stocked at quite a few city cafes and I can see why. Ever frugal, the SSG Manor kitchen has quite a few slices al foiled and frozen for the rest of the month until the next market day. My little treats from Sweetness the Patisserie were the saviours at work on Monday. There's nothing like a bit of sugar to bolster the spirits mid afternoon on a very long day. 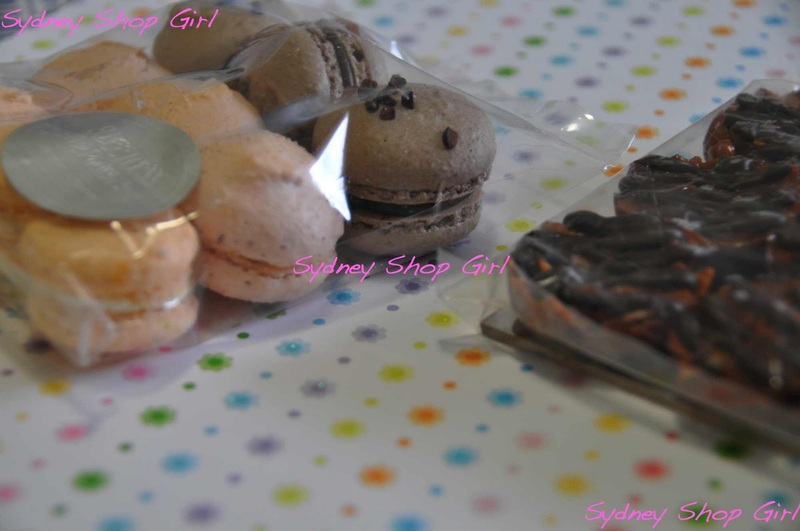 The macarons were very light and had a smooth texture. The florentines were my favourite. 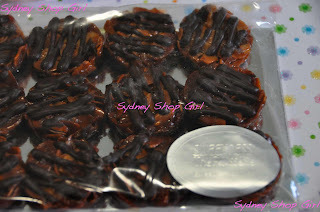 The candied peel had a very zingy citrus taste that balanced the richness of the chocolate. They are a perfect bite size though it was hard to stop at one. I'm patiently waiting for next month's market. This time round, I'm going to focus my buying on fresh fruit and vegetables and theme the week's dinners on what we buy. I say 'we' because Mr SSG is determined to not miss out this time. Scones and jam and cream are going on my wedding party menu too. Did you not have any luck at Victoria's Basement with your cup and saucer? Yum yum. Haven't been into jams for a while now. Must say I love that everyone is getting into the royal wedding, with all sorts of lovely food being prepared. Think I ought to join in! Oh wow, how delicious :) Thank you for sharing. I would be surprised if Kate wore Galliano - waaaaaaaaaaaay too controversial considering recent reports.